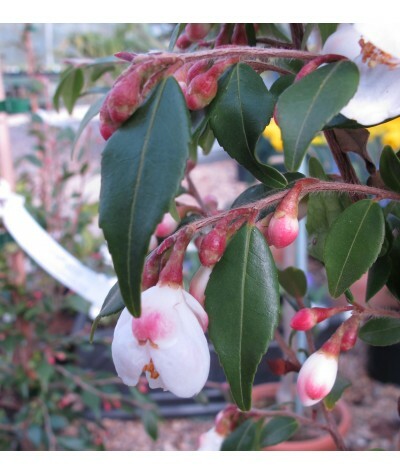 This stunning Camellia produces tear drop buds with pink blotches, which open to white flowers. Leaves are small, serrated and red when young maturing green as they mature. 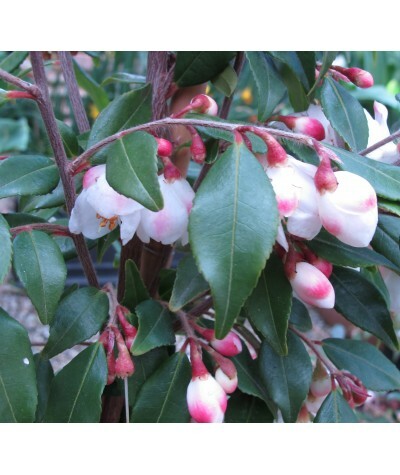 It is a compact shrub wi..